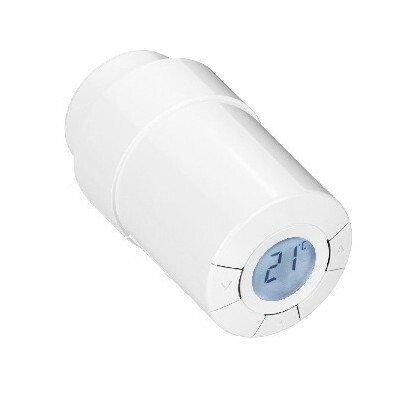 This device is an electronic thermostat for hot water radiator controlled by Z-Wave wireless technology. It is based on the SDK 4.5 of Z-Wave and has the help of Explorer Frame and greater stability of the network. 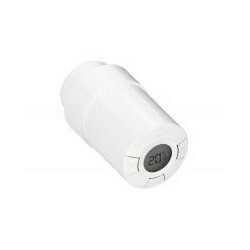 This radiator thermostat is mounted on thermostatic valves for wall heating radiators and controlled by an internal motor. 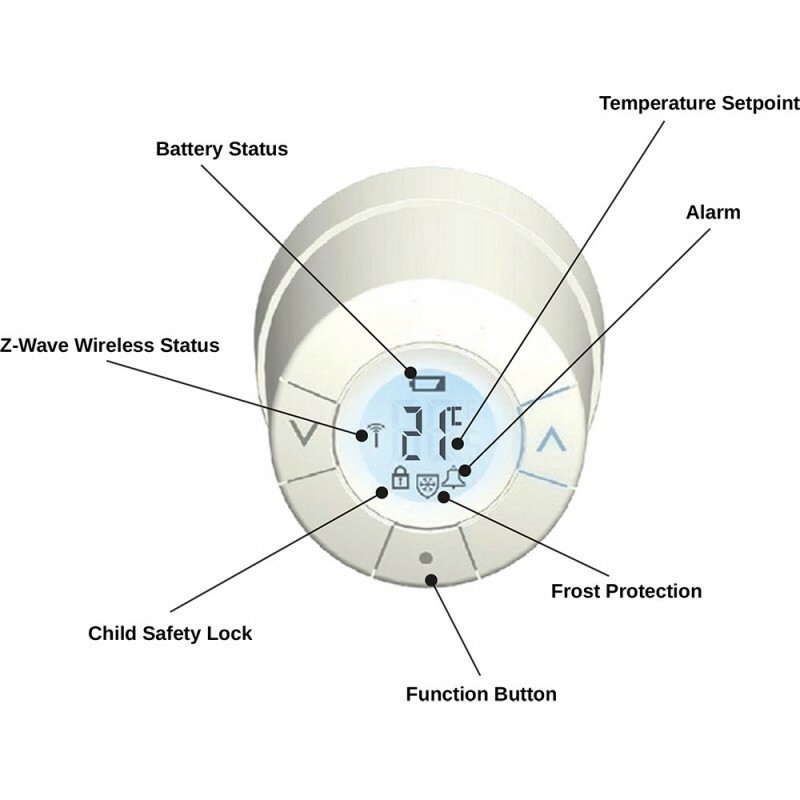 The device accepts a setpoint value that is set manually using the buttons on the device or wirelessly via Z-Wave. 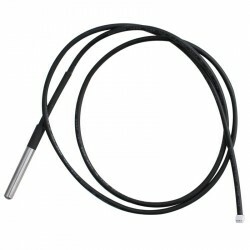 Subsequently, the device regulates the hot water supply of the radiator and compares the detected temperature to maintain the temperature of the room at the desired level. A small LCD panel on the device itself shows the setpoint temperature upon request. The device has an internal programmer, which allows to define up to 9 slogans for a maximum of 7 days a week. Once programmed, these set points will be activated without any additional manual or wireless interaction. 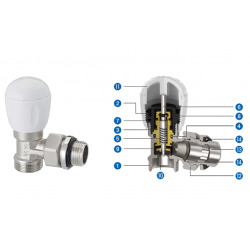 In addition to establishing a desired temperature of the device, it will support special heating plans, such as energy saving and frost protection and intelligent functions, such as the detection of open windows or a valve information function to ensure that the valves are still in operation after longer periods. It is a team very similar to the Danfoss LC-13 "Living Connect". 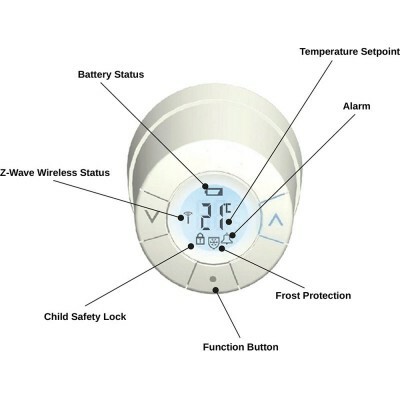 Compared with the Danfoss "Living Connect" the thermostatic head of Popp will report the detected ambient temperature and calculated by the temperature sensor of the device to the Z-Wave home automation controller. 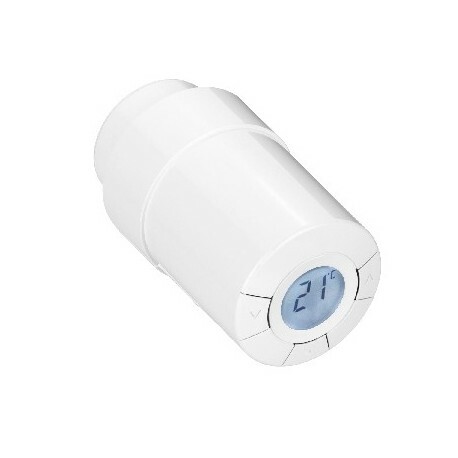 This feature is what the Danfoss thermostatic head does not offer, so if you doubt between one device or another, as they are exactly the same in terms of design, it is recommended that Popp because the temperature value is very important when creating scenes or more precise control functions.